A radical gun-control group, Lincoln-based Nebraskans Against Gun Violence (NAGV), is seeking to punish Lincoln’s honest hard-working gun owners for the acts of criminals. The group is proposing restrictive gun control mandates, sometimes called Child Access Prevention (CAP) laws, that would micromanage the lives of Lincoln’s law-abiding gun owners. If adopted, these measures would make it harder for Lincoln residents to protect and defend themselves while doing nothing to stop criminals. The group hasn’t provided any details on exactly what kind of firearms storage they would find acceptable. However, generally CAP laws impose criminal and/or civil liability on parents, guardians or other adults when firearms are not stored in a locked safe, secured with a locking device or otherwise rendered unavailable for immediate use. These measures are unnecessary, ineffective and would put law-abiding gun owners at risk. Nebraska already has laws to punish people who are careless with their firearm storage. Under existing Nebraska law, anyone who “knowingly, intentionally, or negligently causes or permits a minor child to be placed in a situation that endangers his or her life or physical or mental health” commits the crime of child abuse. A person convicted of negligently endangering a child in this way where the child is harmed faces anywhere from three to 25 years in prison. A study titled "Safe Storage Gun Laws: Accidental Deaths, Suicides, and Crime" finds no evidence that CAP laws reduce either juvenile accidental firearm deaths or suicides. Instead, these laws appear to make it harder for law-abiding gun owners to protect themselves. To the extent that this proposed measure would prevent law-abiding gun owners from keeping an accessible and operable firearm in their homes for self-defense, it is in direct conflict with the Supreme Court’s ruling in Heller -- and therefore unconstitutional. Finally, it’s important to note that firearms accidents involving children are very, very rare. The most recent data from the Centers for Disease Control shows that children are 16 times more likely to die from accidental suffocation and 10 times more likely to drown than accidental shootings. In Nebraska, fewer than 10 children under 15 have died in a firearms accident between 1999 and 2016. Still, more can be done to protect children from firearm accidents. Gun safety education and accident prevention programs offered by the National Shooting Sports Foundation (NSSF) and the National Rifle Association (NRA) have been major contributing factors to the decades-long decline in accidental firearms deaths. The NSSF has distributed more than 100 million free safety kits that include educational materials and gun locks through partnering law enforcement departments in all 50 states. The NRA developed the Eddie Eagle GunSafe program in 1988, which to date has been used to teach more than 31 million school-age children how to be safe around firearms. The gun-control group pushing this new mandate is out of step with the people of Lincoln. Gov. Pete Ricketts recently singled out a member of NAGV for not embodying “Nebraska values.” His comment followed reports that this activist, a faculty member at the University of Nebraska-Lincoln, directed abusive and obscene behavior at a conservative student. The law-abiding gun owners of Lincoln will not allow this group to use mean-spirited bully tactics to impose a radical gun-control agenda on the city. This group’s proposed mandates are unnecessary, ineffective and would put law-abiding gun owners at risk. 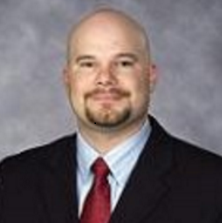 Chris Kopacki is Nebraska state director for the National Rifle Association. He lives in Fairfax, Virginia.